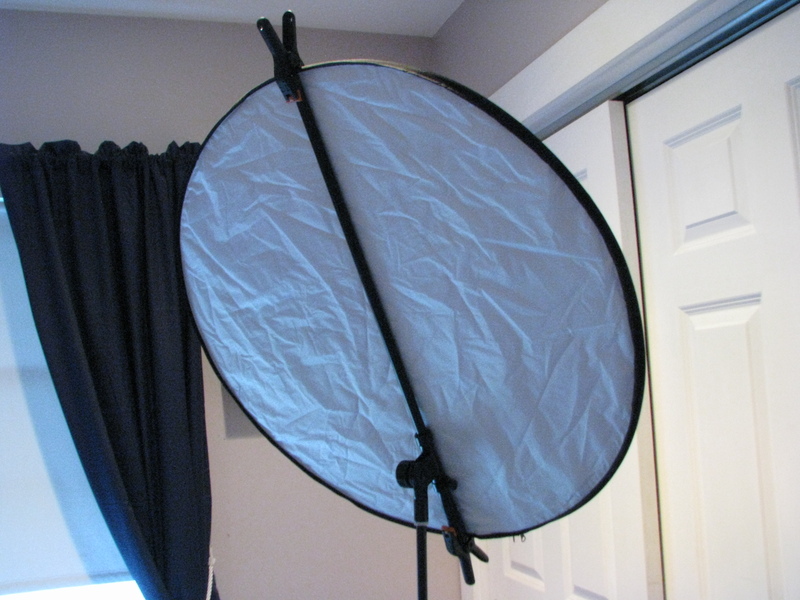 Hi: Can anyone recommend a high quality reflector holder, especially one for outdoor use? It's an arm that extends from a light stand out to hold a reflector or shade as though an assistant were holding it. Can be swiveled and angled. I bought this Westcott model ($49) linked here but it seems very flimsy and cheap. I may exchange for the slightly more expensive Westcott model ($73) but I can't tell the difference between the two. Both get good reviews but the clips sound like they may be a problem and not sure either of these perform well if there's any wind. I'd like to find a solid high quality one even if it's more expensive, so I'm not fighting with broken clips in 6 months and I'd like to find one that won't fail in the wind. Hi, Skip - I don't think you would want to do this, but I had an old microphone boom stand from a previous life just sitting around. 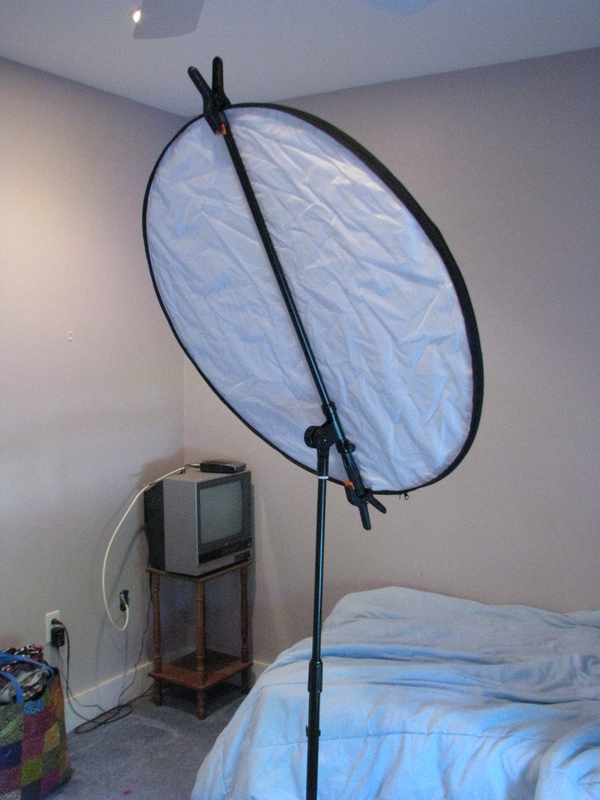 I take my 43 inch round reflector, and clip it to the arm top and bottom with medium-duty clips I got at Home Depot. It works well, for me anyway. The mic stand is heavy and sturdy (they have to be because not all stages are rock solid), and I think I found it on EBay. This works for me because I only use it occasionally. Thanks Dave. That's a good idea. Not sure I'm as handy as you but way to go. And you got me thinking of ideas for jury-rigging the arm I got to make it more sturdy -- getting better clips at Home Depot maybe. Good to know mic stands are heavy duty. I do have a photography sand bag made for adding weight that you fill with rocks or sand to weigh down a light stand. But it's heavy (obviously). 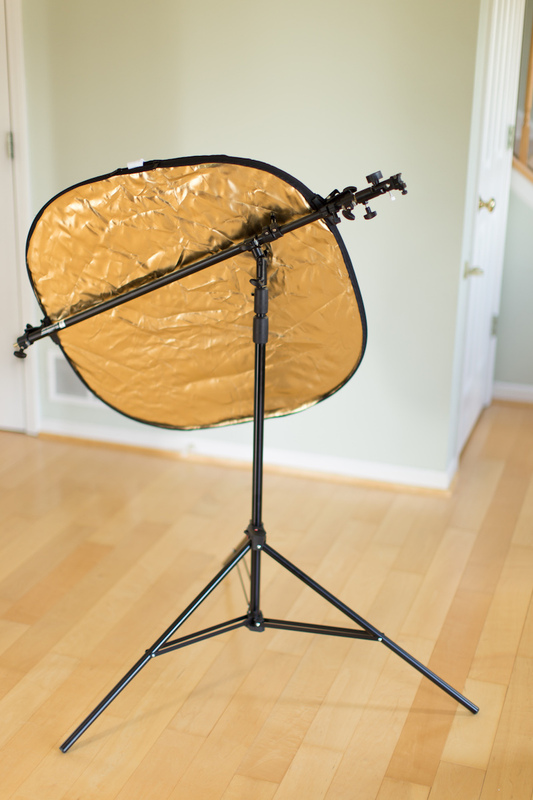 Hi, Skip - this is what I have for a reflector holder, but there are a couple of caveats: first, I have a pole that screws into the top of the boom to extend it, that way the boom is behind the reflector. I couldn't find the piece, but I think you can see it. 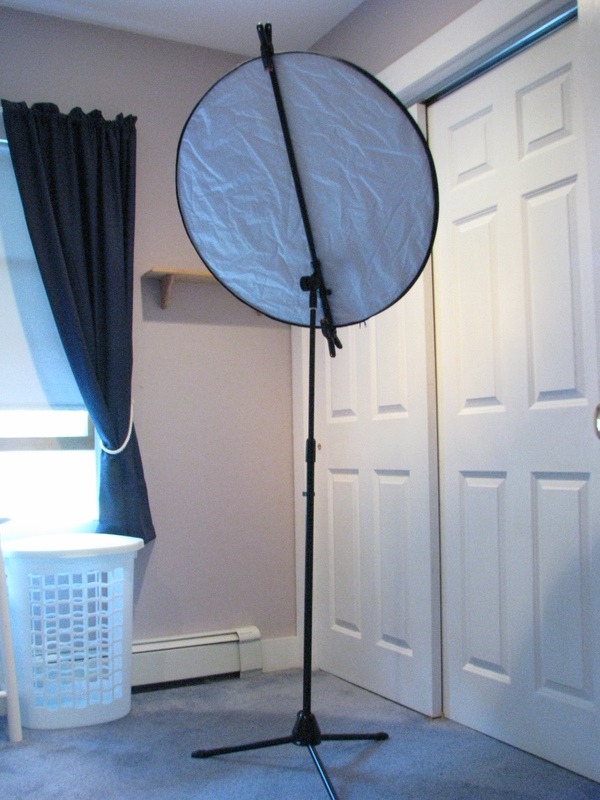 Second, my reflector is on 36 inches, I thought it was 43 inches. The mic stand in the photos is not completely extended, but I think to the top where the boom is attached gets to at least 6 feet. Anyway, I use this really infrequently, but I had the mic stand. The clips I think I bought at a yard sale for a buck. I have a way to weigh this down if necessary. I think that unless you have a stand that weighs more than 50 pounds, you are going to need your sandbag. I don't know if this would be something that would work for you, I guess it depends on how much you need it. For the light-weight stands that you're using, especially with such a small footprint, you'd better have someone holding that when you shoot outdoors. There's no way it will stay upright. If you want a light-stand that's heavy enough for this, to use on location, you'd have to look at C-stands or something with the same kind of heft. Thanks Dave: That's a good-looking set-up. Yes, I think you are right I will need sandbag and/or heavier stand. I think I can forget about using something like this at the beach. Maybe in park settings it would be OK. Plus there's the fact that I can only carry so much. Thanks Neil. It sounds like I am better off just using an assistant. For my circumstances I should just accept the expense of an assistant because wind is so common where I live and shoot. But I'm glad to have the new arm for those times when I can't get an assistant and/or am shooting in a non-windy location. I did exchange the cheaper Westcott arm for the slightly more expensive Westcott arm. I think I'll play around with it and see how it goes. 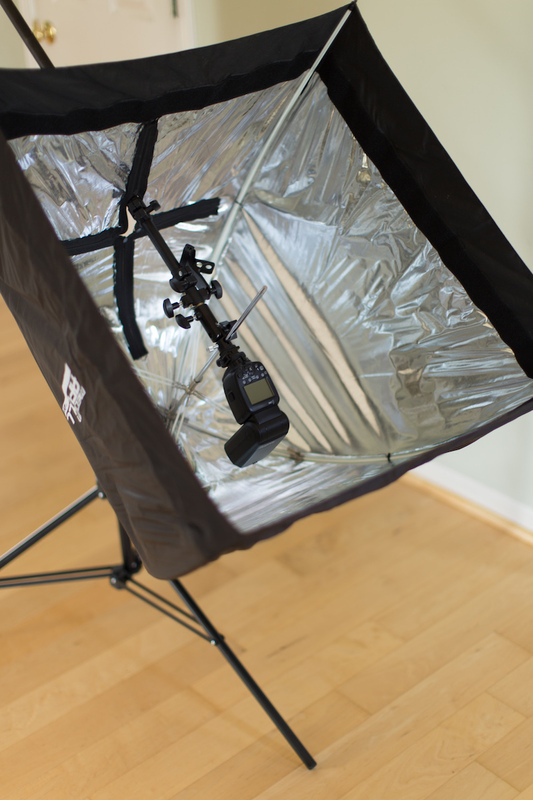 I was hoping this would work not only for reflectors but for my big shade (from the 5-in-1 set). Thanks for the suggestion of C-stand. Skipper, let us know how you like the more expensive Westcott arm (I'm assuming it's this one). I have that particular item in my B&H wish list and hope to get it sometime this year. I primarily shoot projects in the house so no issue with wind, but I could see using that outside. For reflectors, I use a Westcott 42-inch 6-in-one kit (square with rounded corners). My stands are very light (Manfrotto BAC1052; but do have some sandbags). I'll let you know how I like it and I'll post pix. Sounds like it should be fine inside, according to the user reviews. Thanks Skipper; At one point I had that same item in my wish list but figured for just a bit more money, I should pick up the extreme version. -The hinge isn't rock solid, it dips down. -The business parts (the parts that matter) are flimsy plastic. -You can't swivel the reflector to be at the angle you want. -The clips that hold the reflector are the worst part. They are as flimsy as flimsy gets. Barely hold the reflector, are difficult to use, do not hold it firmly. They suffer from a poor design and poor (cheap) manufacturing. That's a shame about the Westcott Illuimunator Arm; but does seem to match up with some of the reviews. I just got the slightly more expensive $79 Westcott Extreme Arm. While I haven't used it for any projects yet, I did experiment with using it as a boom arm (testing its limits). The holder's clips are quite large and holds reflectors well (pictured is part of Westcott's 6-in-one kit with the diffusion panel encased in the dual-sided sleeve - gold on one side; silver on the other). The thickness of the diffussion panel and outer sleeve was no issue for the clamps. 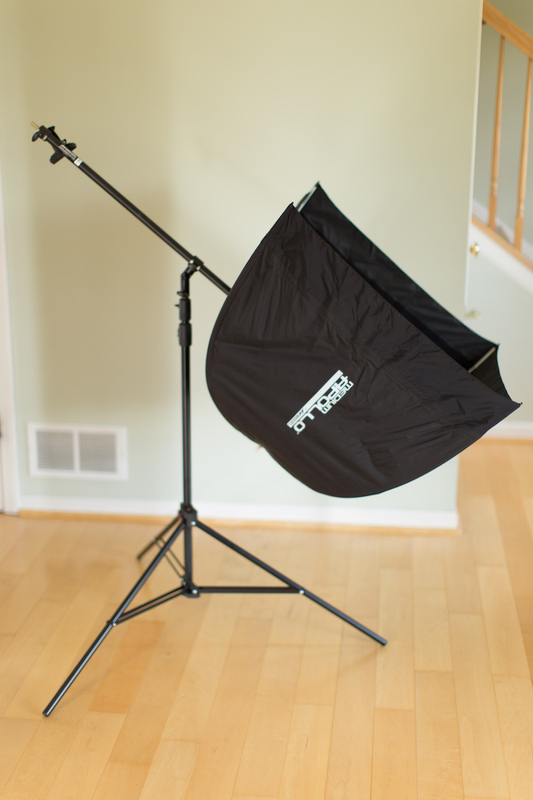 In terms of using it as a boom, pictured is a 28" Apollo softbox and Canon 600EX-RT speedlite. I would definitely not extend the arm to its maximum position without the use of a counterweight. And even then, I'd probably want to use a dedicated boom arm. The bracket, shaft and all connectors are metal, but I wouldn't want to risk damaging the reflector holder arm. Or, risk hundreds of dollars of attached equipment. While the arm would allow me to put the Apollo in say a lower position of a clamshell setup, it would still be awkward. I don't have C-stands, so attempting to place a second Apollo on a separate stand for the upper part of the clamshell would probably not work. In summary, I believe I'll use this arm specficially for reflectors. I think the limited range of what you could do with lighting equipment attached to it would really not be worth it.